Creative Ardagh: Why have one celebration when you can have three! Why have one celebration when you can have three! We've decided that as we are starting the St. Patrick's weekend with a celebration of the visit by President of Ireland, Michael D Higgins on Friday 14th March (see below for full details), that we might as well continue the celebrations on Saturday and Sunday. We have two very different events lined up with something to suit all ages. Join us at 3.00pm on Saturday 15th March for some exciting family fun. 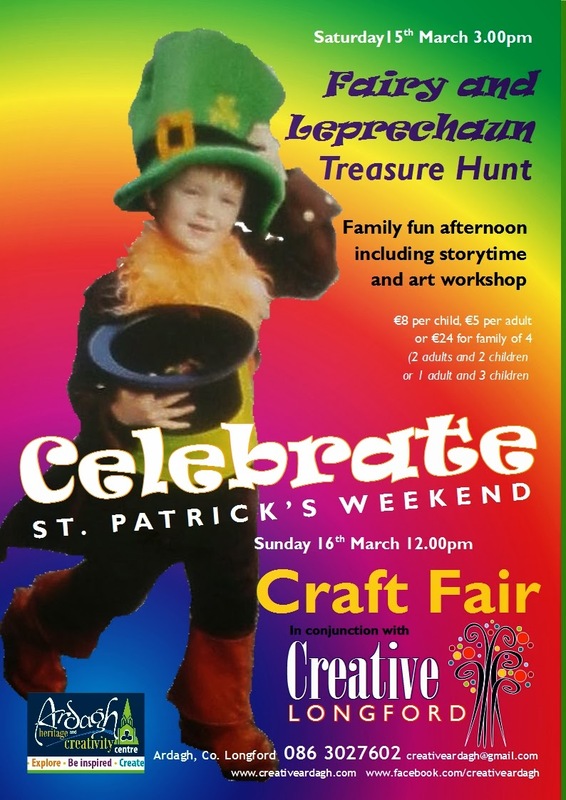 All fairies, leprechauns and other enchanting folk are welcome to take part in a treasure hunt, story time and a fun St. Patrick's themed art workshop. Fancy dress optional. It should be a magical afternoon finishing up with tea/coffee and treats. 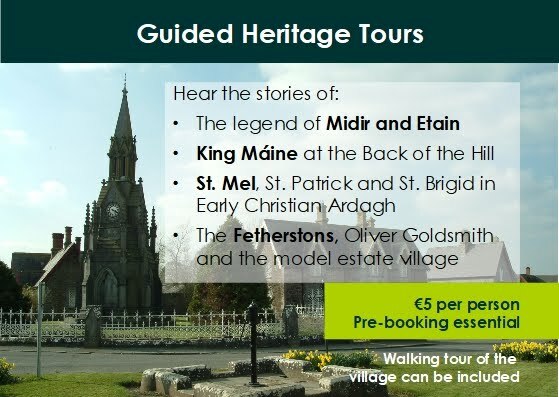 €8 per child, €5 per adult or €24 for a family of 4 (2 adults and 2 children or 1 adult and 3 children), booking advised. 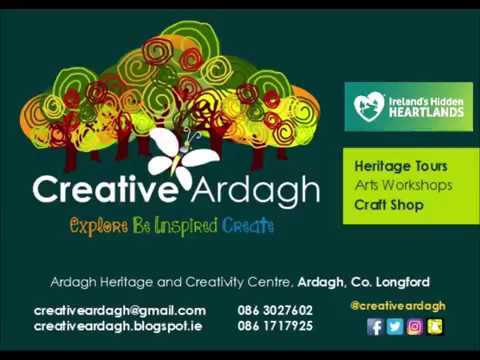 On Sunday 16th March at 12.00pm we are delighted to be holding our first ever craft fair in conjunction with the new county craft network, Creative Longford. 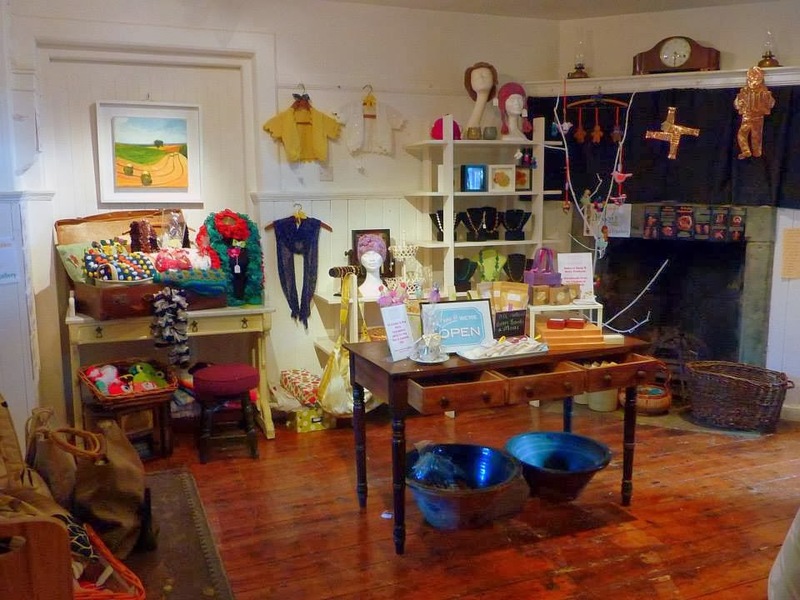 We already have some of their beautiful handmade products in stock in our revamped craft gallery (Thanks Leanne and Jacinta!) so we know everyone who attends is in for a treat! There will also be lots more happening on the day to keep young and old entertained. There are still a small number of tables available, free for members of Creative Longford and €20 for non-members, contact us quickly if you would like one. Very successful and exciting weekend!